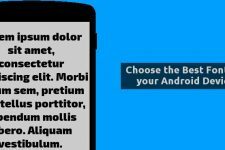 Android is known for its customization capabilities and applying custom font is one of the major things to give your Android a unique feel. 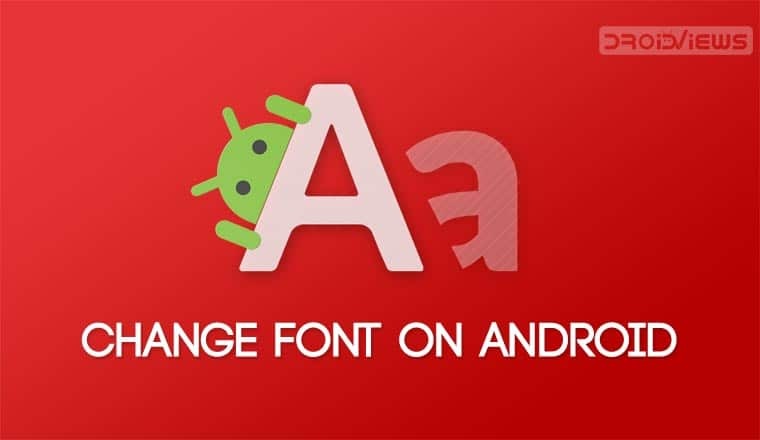 Here’s a list of Android fonts with steps to change font on Android devices. Android, stock Android, is not very customizable contrary to the popular perception that Android is very customizable. Most of Android’s customization comes from third-party developers finding ways to exploit certain aspects of it. Google doesn’t care much about customization and that’s evident by how many Android updates work against customization. Also, by how stock Android still doesn’t have a theme engine. Almost all Android OEMs that use a skin on top of Android provide one. Some like Samsung even allow users to easily change the system fonts. Unless you have one of those devices, you’ll have to rely mostly on root methods to change font on your Android device. These days, using root to do change things will most probably trip the SafetyNet though. Once that’s done, you can’t use Google Pay, Banking apps, Netflix, Snapchat, or any similar apps that check for it. Fortunately, the developer community has come up with ways around that as well and the answer is Magisk Systemless Framework. As long as your device is rooted via Magisk, you can do a lot of things including changing the font of your device. For those still unaware of Magisk, here’s all you need to know about it. What is Magisk Manager and how to use it? If you have a device rooted via Magisk, you’ll also have the Magisk Manager app installed on it. The Magisk repositories host a module called MidnightCore. It allows users to systemlessly change the bootanimation, fonts and system sounds. We’ve already covered the module, its features and how you can install it. If you don’t know how to search for a Magisk Module in the Magisk Manager app and install it, you can check out the guide linked below. One downside of the MidnightCore mod, if you want to call it that, is that it doesn’t have a UI. If you want to use it you’ll need to install a Terminal app which lets you execute terminal commands. It doesn’t matter which Terminal app you use so you can use anything you like. We’ve linked some of the popular Terminal apps that you can install from the Play Store for free. Whichever app you chose to install, launch it now. Type the following command in the app then and press Enter to execute it. The above command is used to obtain root access. You may be asked to grant root access to the app once you execute the command. Next, launch access the MidnightCore module by entering the following command. This is how you’ll need to launch the module everytime you need to change the fonts or do anything else. You should now be in the main menu of the MidnightCore module. Here, you’re presented with different options that you can explore. Since we’re interested in fonts right now, type 1 in the Terminal and press Enter. You’ll then be presented with a list of all the fonts included in the module. Since this is the Terminal, it’s impossible to see a preview of the fonts. It can only show you the font names here. You can check out all the font previews by visiting this link. Once you’ve set sight on your desired font, simply type its corresponding number in the Terminal and press Enter. The module will then ask if you want to save the font offline, type 1 and press Enter to save it offline. When everything is done, you’ll be brought back to the main screen of the mod. You can now close the Terminal session by pulling down the notification shade and selecting EXIT or CLOSE TERMINAL on the Terminal app’s notification. That’s it! You have successfully changed font on your Android device. If you ever wish to restore your default fonts, simply access the module from the Terminal app again and on the main screen, enter r.